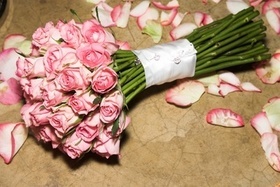 Description:A pastel pink hand-tied bouquet with 30 roses. Ribbon is included. Colours can be changed.